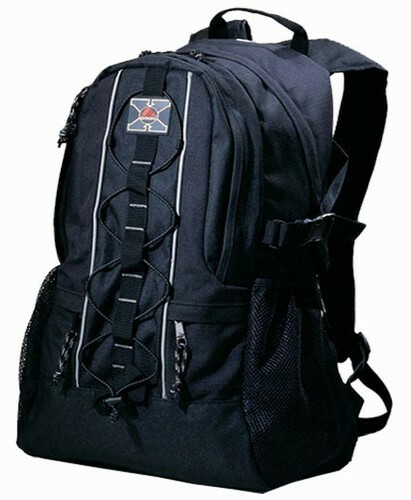 Functional backpack that is packed with many compartments and features. Padded CD holder and earphone outlet included inside main compartment. Organizer pocket inside front zipper pocket. 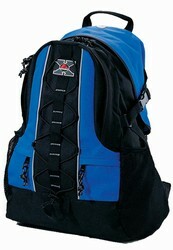 Compression straps on both sides for versatile packing. Large side elastic mesh pockets. Two small zip pockets on front for small item storage. 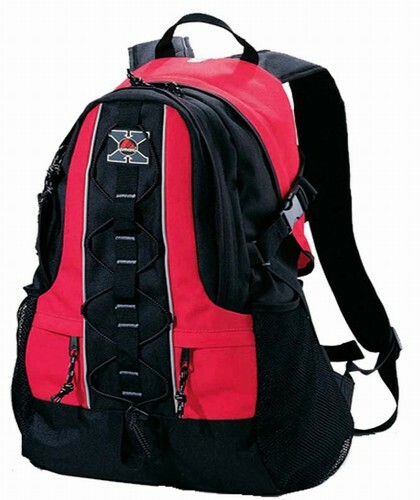 Fully padded back and shoulder straps. Additional hip belt and chest clip for more ergonomic support.